Thread: Made the near "perfect" lasting Forever Flashlight? I must say the Russian Forever Flashlight (manufactured by ZiP) is one of my all time favorite historical flashlights! Though I do like modern LED flashlights, you just can't beat the old Soviet/Russian dynamo flashlights for durability, simplicity, and function. They works EVERY time through solid design and rarely wear out. I have some of these crank lights over 60+ years old and they still work like they were new! Down side is due to their age they use special incandescent bulbs (holds up to AC) and don't produce a lot of light. Long term use can also tire out your hand. These amazing lights were originally developed in Holland then Germany during WW1 and more extensively used in WW2 trench war by German troops who could be deployed many months at a time. Having a dynamo flashlight meant you did not need to worry about replacing disposable dead batteries. After WW2 the Soviets moved the factory to Russia and further developed the design. With the USSR having such a large deployed army and difficulty procuring disposable goods like batteries these flashlights were designed to be reliable, maintainable, and just plain not ware out if kept clean/dry. They were very common in the Russian army and many old service men will still recognize the unique "wrrrrrrr" sound given off by these flashlights from years of their own use. That brings it down to me and my relationship with these flashlights. 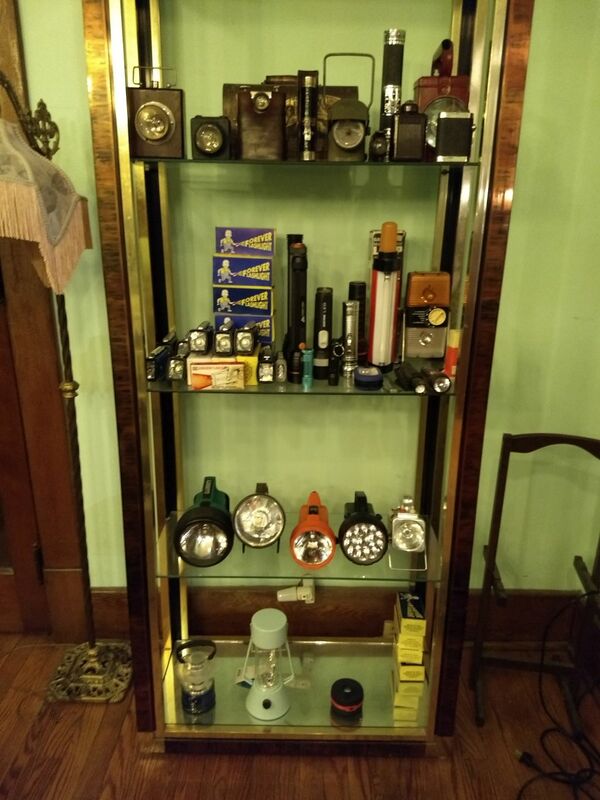 Myself as a flashlight enthusiast I have always looked/wanted to own/make the "perfect" "timeless" flashlight. I do not like things that wear out or are disposable! A "perfect" flashlight would be durable enough to last for generations of use! Store it for decades in hot/cold and it will work. In the right perfect conditions this ideal flashlight could last a 100+ years on original parts. The light need not be hundreds/thousands of lumen to melt people you shine it on. But should still put out a decent usable light you can see/work by. Fitting this durability build are the old Soviet all metal crank lights and to a slightly lesser extent (though still good) these Russian Forever Flashlights (I have over 25). But the problem of low lumen incandescent bulbs still remain. I figured there must be a way to have the hand crank charge and maintain a light efficiently. I don't like batteries as they wear out and their chemistry self destructs over time even if you don't use them. However super capacitors (I've made many flashlights with these) if treated well often never wear out. Several years ago I experimented with different types of joule thiefs seeing what was most efficient. Months of testing showed me that after the loss of voltage drop LEDs gain efficiency at lower current and higher voltage. They typically have a sweet spot of light/efficiency if you test for it that is perfect for a super capacitors which really endure over the years but don't hold as much power as batteries. 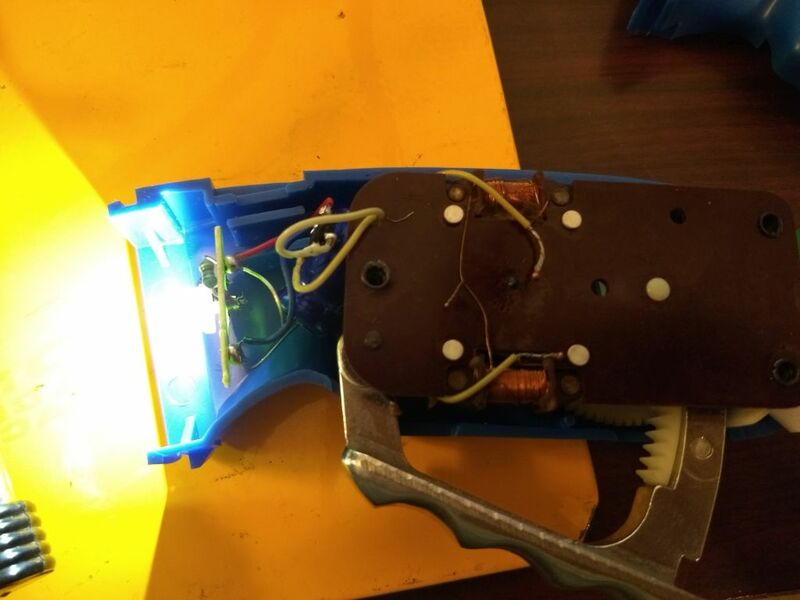 I used a joule thief driver board I had used years ago with a 6 Farad super capacitor. I rectified the dynamo through a "ultra low" forward voltage full bridge rectifier (.4 voltage drop for entire full bridge!!). The result is a amazing flashlight that charges in 12 seconds of cranking and produces 40+ lumen of light for 4 min between cranking (5-6 seconds on follow up cranking/charging when light dims). 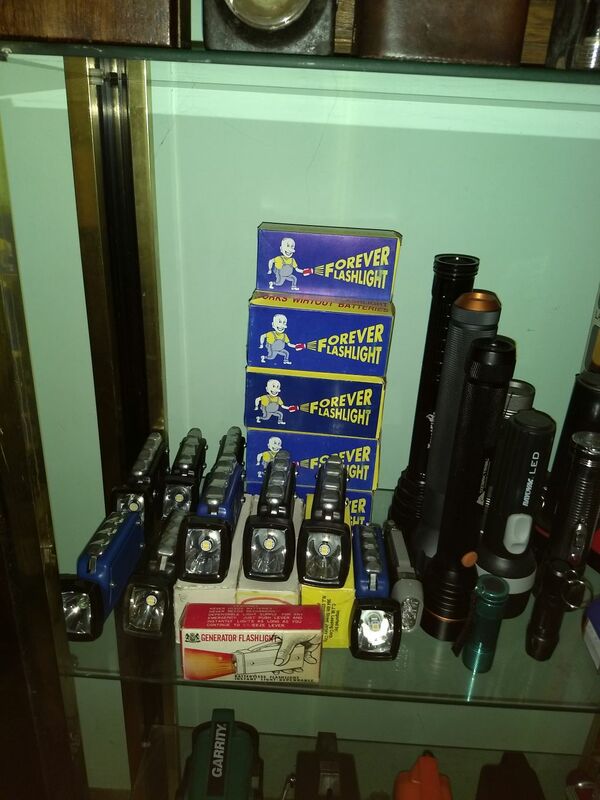 These hybrid super capacitor Forever Flashlights will likely last 50-100+ years, can be stored indefinitely anywhere without any degradation, and are so easy to crank your hand will NEVER get tired. It kind of feels like the convenience of having a battery operated flashlight that never wears out and NO batteries! After 40 years I finally feel I came close to making the "perfect" durable Forever Flashlight in a marriage of old and new tech! I am thinking of making a DIY YouTube video next month on how to make these for those who may want to make one of their own. 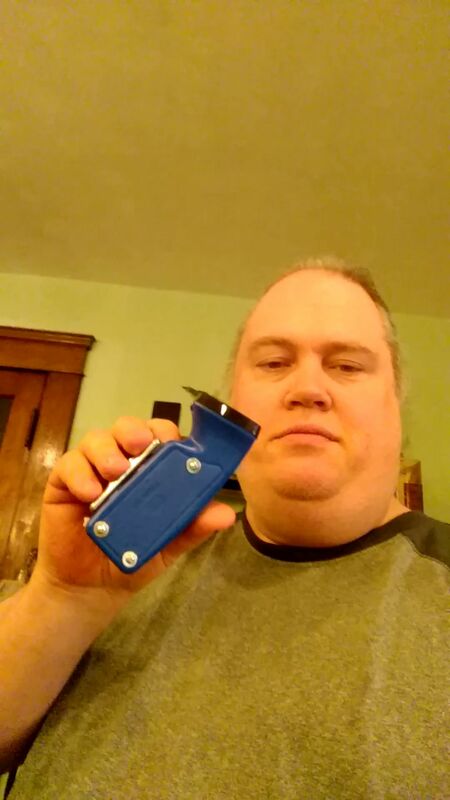 This is me holding a small (there are large ones too) Forever Flashlight. I add washers and lock washer to all my flashlight screws for durability. 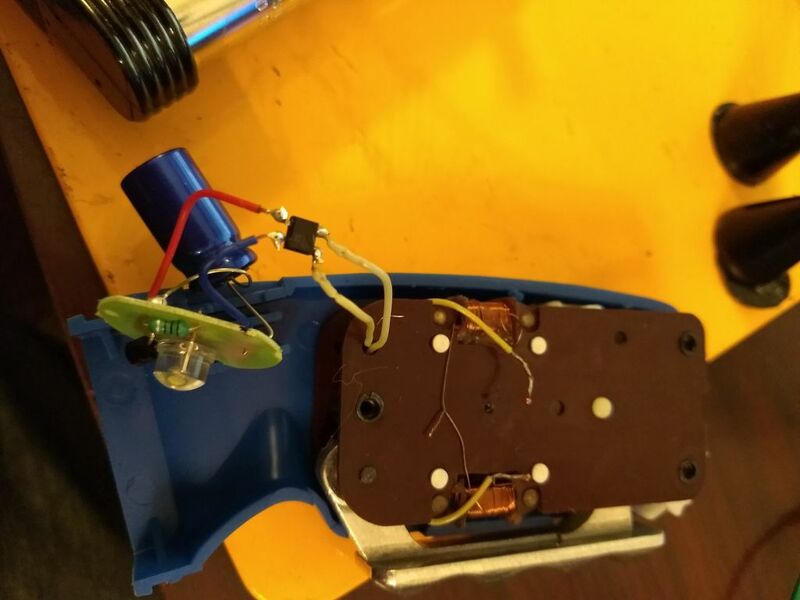 After cutting off the bulb housing I solder on a full bridge rectifier. Max voltage cranking is 2.7v (convenient for super capacitor tolerance) with an average 2.5v. Next I soldered a 6F Super Capacitor to a old joule thief I had for another capacitor flashlight project. Soldered the LED driver+capacitor to the full bridge rectifier. 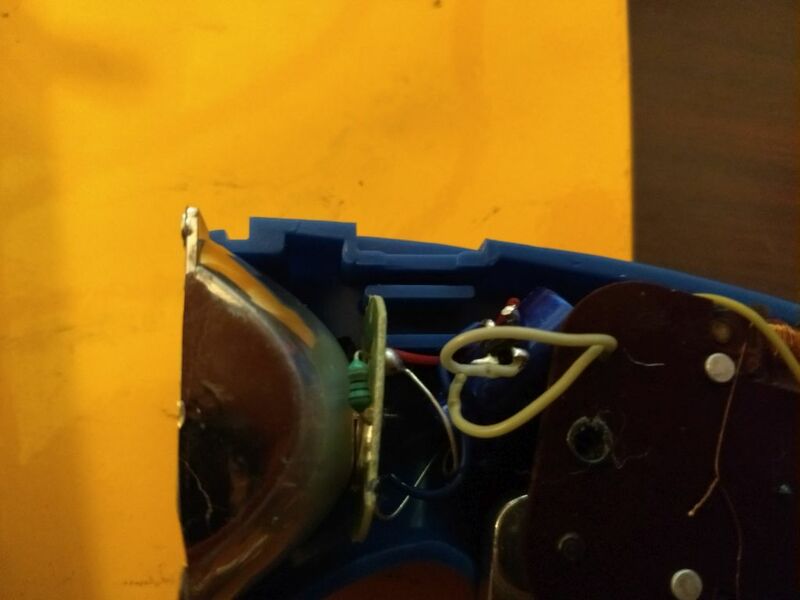 I found I could tuck the capacitor into an empty cavity just below the handle hinge. First test a big success. Lots of hard test cranking and capacitor not going over 2.7v. Shines bright!!! I will be making a lot more of these for the car, house, and extended family! The 1st original prototype will now go on the "Happy Shelf of Custom and Historical Flashlights" on display. Re: Made the near "perfect" lasting Forever Flashlight? mine is probably from the 70's made in hongkong with british registered trademark,ect. anyway i put 3 high cri 5mm leds in an empty pr base connected in parallel. made a bridge of 4 schottky diodes to cut down on vf drop. and a 470uf 10v lytic to smooth things out and add to the flywheel effect. these leds make about 10lm ea at 30ma. but can really be pushed with impunity. i measured 170ma with fast cranking. if shtf it will be nice to have other than its not stealthy due to noise. Last edited by snakebite; 04-15-2019 at 07:24 AM. Would be cool to see pictures! You may want to try a super cap to hold the charge longer? It's likely only a little bigger than your standard capacitor? They do produce noise (ones with super capacitor you only crank every 4 min) though at night any light attracts attention. If I was trying to avoid detection I may use a small battery diffused light. However the concept with these Russian flashlights is amazing reliability IMO. Whenever I put a emergency battery flashlight in the car for example the hot and cold ruin the batteries especially lithium fast and I have been caught with a dead/weak light. These modified flashlights you can put in a bag/car and use them 2, 20, or even 40+ years from now as good as new when you put them in storage. In a extended grid down situation (volcanic/nuclear winter,etc) where you can't get disposable batteries/goods, these Russian flashlights are not dependent on batteries that break down over time/use for a bright source of light and are dependable for years long continuous usage IMO. I had a russian crank light in the 80's that lasted fairly long but had plastic gears and did fail. Had a Japanese one before that that lasted. Subsequent models did not last much. Do your flashlights have metal gears? The older Forever flashlight models are part metal and the Ukrainian (1957 USSR) ones are all metal. I do have a Japanese one too (it's the last picture you can see the box that says "Generator Flashlight"). Is that the same one? The Russian flashlights seem better built as the Japanese ones could crack at the plastic handle torquing a small metal wire. That's odd your gears stripped? Never had one do that on me. Though I switch all mine to LED which in addition to a LOT more light reduces the crank torque to about 1/3. 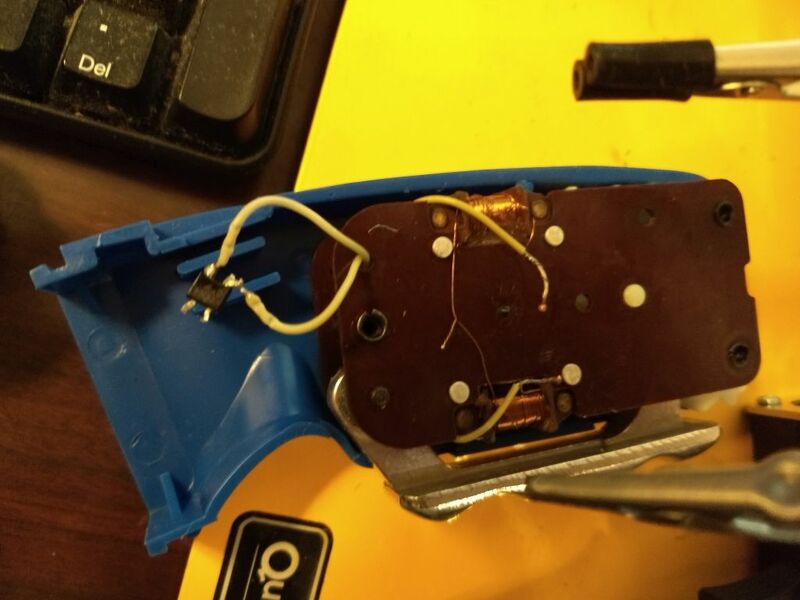 @Kitrobaskin, yes heat is the enemy of electrolytic capacitors. 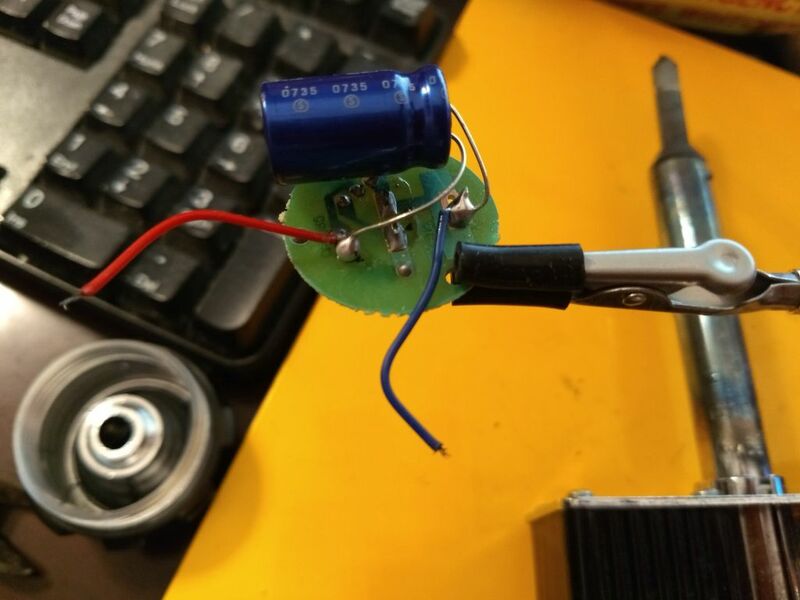 As a rule of thumb, operating a cap at 20 degrees Celcius will give you the capacitor manufacturer's standard longevity (good ones will happily last 30 years or more). Every 10 C above that cuts in half the lifespan of the electrolytic capacitor. So a good cap operating at 40 Celcius all the time probably won't last longer than 7-8 years. Harsh cold won't do them any favours either. 17 is 11, 11 is 6, 6 is 3 and 3 is none. Also it's good to have some backups.